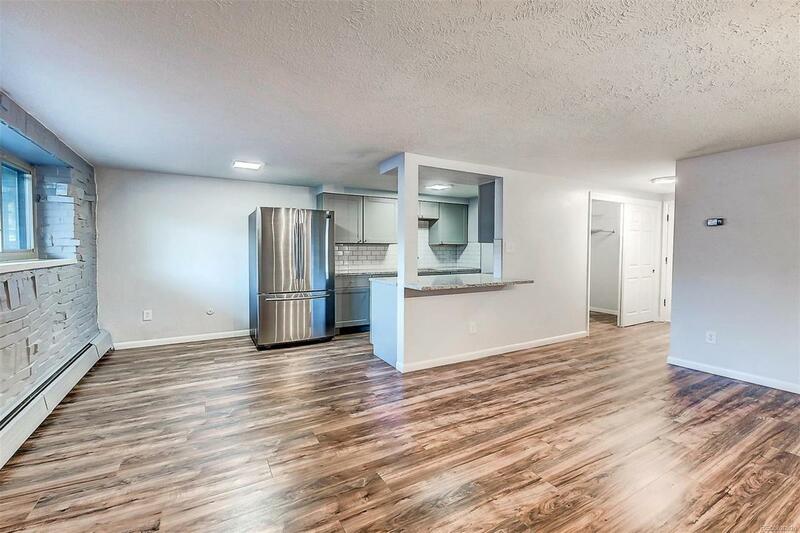 Come see this beautifully remodeled unit that is in the heart of Cap Hill. This cozy 2 bed 1 bath is perfect for a first time home buyer or investor at a great price. Everything is new. New Cabinets, granite counter tops, laminate flooring throughout and everything in the bathroom is brand new, including the beautiful tile. The wood burning fireplace will be perfect for those cool winter nights. This is also one of the only units in the building with a Washer/Dryer hookup!! This is a great price for a 2-bedroom unit in Cap Hill. Close to everything, shopping, restaurants and bars. With the Cherry Creek Trail a mere two blocks away, youll have access to the best biking and jogging pathways in the city. Love the location, live the lifestyle! Offered by Sellstate Realty Pros.